Purchasing hearing aids is a big decision, there is a big financial outlay involved. Many first time buyers focus on the price, but there are many other factors that you need to consider. When you are thinking about buying hearing aids it is easy to feel overwhelmed by the sheer amount of information that you need to consider. That information is both medical and technical in nature, medical when it comes to your hearing loss and technical when you are trying to understand any hearing aid technology recommended. There is a lot of choice in both types of hearing aid available, and the manufacturers who make them. It can be quite difficult for a consumer to understand it all and sort through what is important. Here are things that you should know when choosing a hearing aid. The quality and comprehensiveness of the hearing test is important. 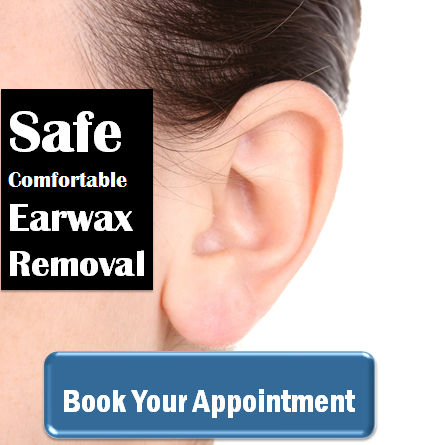 You should get a complete hearing test undertaken by a qualified Audiologist. The benefit delivered of different test procedures like speech audiometry and speech in noise testing to the eventual fit of a hearing aid was once debatable. However with recent changes in hearing aids and understanding of hearing loss the more in-depth the test is, the better the eventual fit. Information derived from speech testing and speech in noise testing in particular is very valuable in understanding which hearing aid is best for you. 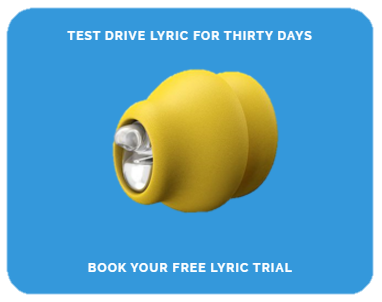 this information can also be incorporated in the fitting of the hearing aid delivering a better personalisation for you. Ideally audiological tests should be done in a soundproof booth for complete accuracy, at a stretch a very quiet room . The consultation should also follow a particular pattern, to understand your hearing needs, an Audiologist should discuss your medical history, lifestyle needs and the issues you are having. After the test is finished the Audiologist should explain to you the severity of your hearing loss and what type of loss it is. At this point they should be able to recommend to you which kind of hearing aids and which technology level will work best for you, your lifestyle needs and your loss. You should always take someone with you to your hearing test, undergoing any kind of medical examination or procedure can be a stressful. It is always a good idea to take someone with you to a medical appointment. Whilst caught up in the process and worrying about results, it is easy to miss other important information. If you have someone with you they can help to remember what was said. It is always better to have two people in order that as much information as possible is retained. Make notes during the appointment and don't be nervous about asking questions. Query anything that you do not fully understand. Conversely, don't be afraid to ask the Audiologist to write something down for you. A true professional will not be put out by being asked questions, these questions will come up, it is better to ask them at the appointment. If a set of hearing instruments is recommended to you, don’t be afraid to ask the Audiologist to write the details down for you if you wish to research them. Some companies may offer white label instruments, these are instruments that are re-named by hearing aid manufacturers specifically for the company you are dealing with. If you are being offered something like that, ask exactly what the instrument is and from what manufacturer. Don't be nervous about asking questions, ask about the different kinds of hearing aid available which are suitable for your type of hearing loss. Ask why the particular hearing aids have been recommended. As we have said, a professional Audiologist will not be put off by any questions. Don't be afraid to say that you would like to research the hearing aids that have been recommended to you. You need to have realistic expectations of the hearing aid technology you buy and what it can deliver for you. Modern hearing aids are exceptional pieces of technology, but they are not, nor probably will never be, a replacement for normal hearing. The higher the technology level of the hearing aid, the better the results for you are. Keep this clearly in mind when you are making any purchase decision. Before you decide what to buy, have a clear idea about what you want from your hearing aids. Think carefully about your problem situations, consider where solving those problems are important. If you keep that clear you can consider what type of technology level will be best for you. If you have a sedentary lifestyle and all you want hearing aids for is listening to TV and Radio, some light conversation and the occasional journey to the shop. Low end technology should almost certainly meet all your needs. However, if you have a busier lifestyle and your hearing aids will be imperative for more complex sound situations, then higher levels of technology are most certainly for you. Key to any decision is the understanding of your needs and realistic expectations of the technology level of hearing aids. With this in mind you will know what you can expect from what you can afford. When this is clear to you, it will make your journey with your hearing aids less stressful for you. In recent years most hearing aid manufacturers have moved towards wireless communication within their hearing aids. 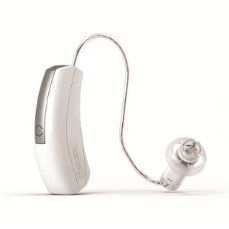 This connectivity has opened up new options and resulted in new accessory devices that deliver real benefits for hearing aid users. There are many additional extras that can now be purchased with your hearing aids. These are all useful add ons which can help someone with hearing loss to lead the life that they are used to. As with many things though, they are only useful if you actually are going to use them. Each manufacturer will offer some wireless solution, the question is do you need them? These can really increase your costs so think carefully before buying. Don’t pay for something which you might not use very often or pay for something you don’t really need. However, having said that, if you are constrained by budget for the technology level that you can afford. An accessory can help to make up on what you are missing. For instance, a wireless remote microphone can really deliver fantastic results for hearing in noise even when paired with a low technology hearing aid. Keep this in mind when you are making the buying decision. So you have made the decision to buy, you have picked out the aids and the accessory you want. You need to be sure about what you are actually buying. Ask the seller to explain in detail what you are actually buying, if they say lifetime aftercare, ask exactly what does that mean? 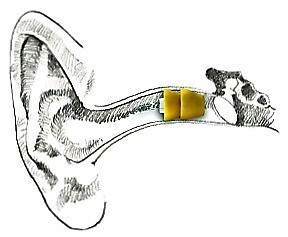 The life of the hearing aid, a set period of time, your lifetime? What does that aftercare include, are there structured call backs, will you drop back when you have a problem, or alternatively will they call you for a re-test in five years? These are all things that you really need to know, hearing aids are complex devices that need care and attention to deliver to their best ability. Hearing problems are not like vision problems, hearing aids are not like glasses, you don't put them on and everything will be fine. You need support and rehabilitation and that support needs to be ongoing. So it is important that you clearly understand what you are buying when you pay your money. When choosing the size and shape of an aid, you need to consider your dexterity. You may find that smaller hearing aids are difficult for you to handle and insert. Not just that, the battery that powers it, may be too small for you to handle. If your sight is not great, you may also have issues with the size of the aid ir the battery. Always remember, you are a customer as well as a Patient, if you feel that you want to try something different or go away and think about it, then do so. I have mentioned aftercare already, but it is imperative that you understand what you are buying. Find out about aftercare and warranty servicing of your hearing aids. They are an expensive investment and you should always check exactly what is included in the warranty and aftercare service. Make sure you have a written agreement, then you always have a reference to the agreement you have made. We hope that this advice will allow you to make educated hearing healthcare decisions. Find a company that you feel comfortable with, ask them lots of questions about the hearing aids that they offer, what they think would be best for you and what exactly is their service offering and you should never go wrong.